Does growth hacking work? A story of $12 million profit and 4500% growth over three years. An interview with Tom Gorski, Growth Hacker and CEO of SaasGenius.com & Inboundway.com published a part of the Startuptyping - a Polish newsletter devoted to startups, content marketing, social media, and growth hacking. Today we’re talking to Tom Gorski who has been creating and implementing marketing strategies for over 12 years. Tom cooperated with over 150 companies representing various industries, including Dell, BlackBerry, and 24HourFitness. Tom is the co-founder of SaasGenius and InboundWay. He actively supports and advises innovative web companies planning to expand globally. In the past, he founded multiple financial projects in the United States and in the United Kingdom. Daniel Kotlinski, StartupTyping : Your online marketing career began a year before Facebook was founded, and two before YouTube came around. How did you earn your first money on online marketing? Tom: I made my first money on website design when I was in high school. When I realized people were looking for website promotion services as well, I decided to delve into online marketing. At first I was offering my services to Polish companies, but in 2006 I designed an SEO website outlining my offer and promoted it effectively so that it reached the right people. As a result, I was approached by a representative of an American marketing agency. That was the beginning of my career in the US. Your career kicked off quite early - did you try to work and study at the same time? When I was working with my first American client, I was 21. At that time, I was on the third year of full-time BA programme. I decided to go for broke and follow Steve Jobs and Bill Gates, so I quit university and focused on growing my business. Two years later, Inspired by my experience with American clients, I took another risky decision and established my first company in the US. When it comes to online marketing, The United States is believed to be most receptive of all markets. How did you scale your business? We started from opening an office in San Francisco, where our representative met clients and oversaw all communication. Once we got details of the particular project, our Poland-based teams implemented the solutions listed in the contract. From the tech & SEO perspective we were well-prepared, so we decided to increase sales and hired six sales representatives. Unfortunately, 2008 took its toll on entrepreneurs from virtually all industry sectors (including myself), but that actually taught me volumes about how important it is to diversify. And how did you diversify? Facing adversities made me realize how important it was to find clients who thrived despite the recession. I was also hoping to become more financially independent, so I was constantly educating myself on online marketing activities other than SEO. I’ve established a new company and launched a few financial projects, which became the core of my business activity for a number of years. I was drawn to looking at projects from a much broader perspective, which is why I first became interested in inbound marketing, content marketing, growth hacking, CRO, and UX. Speaking of growth marketing - when I talked to Greg Pietruszynski and Wojtek Skalski, we discussed some fundamental issues and definitions. Could we talk about your growth hacking experience? Trust was key for our business. Having clients who trusted us and who were open to change helped us maximize their potential through synergized marketing efforts. As an example, an effective strategy designed for one of the biggest gym chain company saw an amazing, unprecedented ROI. I am really proud, especially because the company has a forty-year history of marketing activities. Over three years, we managed to increase gym membership registration rate by 4500%, which generated an annual profit of $12 million. What did you do to get such amazing results, and how did you land such contract in the first place? To be honest, getting that kind of client has a typically slow start (I’d say it usually takes from 6 to 12 months to sign a deal) and that was the exactly the case. However, things took a turn when an agency responsible for their online marketing at that time made a grave error. To be more precise - the agency modified the robots.txt file, which was then updated by the client. Results were tragic, but the problem was only discovered by our future client a few days after the change was introduced based on a significant decrease in traffic. The agency couldn’t work out what went wrong for an entire week and the whole situation was getting out of hand. The website could not be found in SERPs of most search engines, which caused tremendous financial losses. At that time, we’ve already been talking to the company for quite a long time. While preparing our offer, I realized the company could not be found in SERPs and suggested a quick fix which I included in the offer. The solution was implemented quickly and the website quickly returned to SERPs. We signed the contract a few weeks after that. I was confident the company could benefit from our services. Our approach was goal-oriented from the moment we started negotiating. We began with a comprehensive audit focusing on website content and competition overview. We then proceeded to analyzing current marketing activities performed by the company at the time. The audit allowed us to find key areas for improvement, and outline a strategy maximizing the potential of the brand. We suggested a lot of major improvements to increase conversions. Which areas required most attention? A lot of our success can be attributed to long tail effect, which we relied on heavily when outlining the strategy. Only 20% of traffic came from the search query of “town name” and “gym” or “fitness”. A staggering 80% of traffic came from much more complex search queries, such as “las vegas fitness club membership”. Let’s not forget it’s 2009 we’re talking about. Indeed, local search was still gaining momentum at that time. Adding local branches to maps did wonders for increasing traffic. As a result, the trend became so huge that in the next few years companies offering SEO services for local businesses mushroomed. That was long before growth hacking became the Holy Grail of startups. What qualities make a growth hacker? When I was talking to Neil Patel during one of his training sessions, we managed to establish that growth hackers typically have a non-standard attitude to how marketing should be done. Identifying new, game-changing trends before they peak is a good example. At that point, it’s worth adding here that the term “growth hacking” was first used in 2010 by Sean Ellis. We started negotiating with our client in 2008, and were able to implement our changes in February 2009. At that time, what we did was definitely out of the box. On the one hand, GH seems to stem from small (or inexistent) marketing budgets of startups. On the other, GH is useless if it doesn’t generate traffic: there’s no data, no statistics, and, as a consequence, no growth strategies. What makes a startup successful at early stage? I believe it’s a GH attitude based on searching for growth opportunities, excellent planning, strategy making skills, and ability to oversee current activities. All these qualities should be parallel to constant improvements in product and marketing. Growth hacking is a complex process, which should be carried out by a professional, experienced Growth Hacker at the right time, and based on a good product. However, in reality, most Polish startup founders double as GH in early stage as they make all the key decisions which shape the way a given startup grows and develops. That’s why American companies get a lot of funding at seed stage - investors want to make sure the team is as good as it gets In Poland, it’s the other way round - founders are responsible for management, marketing, and product development at early stage. They decide to hire more people once they get funding or when they first succeed. Would it be possible to get similar results on a much smaller scale, i.e. in Poland? I know some spectacular success stories of companies which used SEO for branding and community building. One such example is Ceneo.pl, which maximized the potential of reaching first page of SERPs for e-commerce related keywords. Good SEO practices are actually a huge part of their success, and they wouldn’t be able to sell their startup with such profit without it. What marketing tools do you use yourself? I regularly use Brand24, Moz, Colibri, Google Analytics, Webmaster Tools, Impactana, Ahrefs, Buzzsumo, Buffer, SalesManago, Unbounce, Clicktale, Typeform, Outbrain, Sniply, GetResponse, UXPin, and Majestic. Every year, there seems to be more and more of them coming. Between January 2014 and January 2016 the number of SaaS companies grow from 947 to 3874. Scott Brinker’s infographic gives an idea how fast they are developing. Finding the right tools and testing them has become daily bread for good online marketers, but the tools are not limited to marketing any longer as they are often key for closing a sale. Long sales cycle and problems with communication across platforms where predominantly mobile visitors are only some of the issues that should be taken into consideration by modern day entrepreneurs. People are getting more experienced when it comes to searching the Web, and the fact they are using mobile so much makes marketing efforts difficult. Are full stack marketers the way forward? I expect marketing professionals will be moving towards full stack and widening their skills internally within organizations. At the same time, marketing agencies will be less successful, and external consultants and experts will be asked to step in to carry out training sessions for employees. These training sessions will be tailored to the needs of a given organization and to the dynamically changing market and consumer profile. They will also attempt to find innovative ways of marketing a given product or service. Given your experience, do you feel that Polish entrepreneurs are becoming increasingly interested in going global? I follow industry media outlets and read a lot of startup-related articles. I’ve come across many inspiring success stories of Polish companies, including Brainly, UXPin, SalesManago, Pixers, Estimote, Brand24, GetBase, Colibri, Paylane, and Ifinity to name but a few. It is evident that over the last few years entrepreneurs started turning to foreign markets as they believe that the Polish market is too small for a niche product to gain momentum. I totally concur, and I think the American market is very receptive, so it’s a great place to start. Some Polish startups went global recently, but there are also some great companies who have been active on the American market for 10+ years. Which companies do value most? GetResponse founded by Simon Grabowski is great - they are a world leader when it comes to email marketing. I also value XTB, who are a leader in Europe. 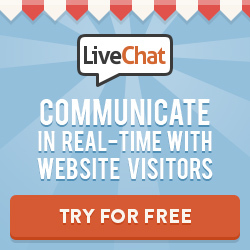 Before their valuation, LiveChat’s had a long history of product development. Along the way, they faced adversities when it comes to sales, but switching to SaaS allowed them to become a global leader in customer communication. I think for Polish startups, SaaS business model is most promising in terms of growth opportunities. As a country, we have one of world’s top programmers, which gives us a chance to create innovative game-changing tools. During my consulting sessions, I often hear complaints about how hard it is to find the right sales and marketing - in fact, it is difficult to find experienced professionals who can help you expand, especially in heavily saturated industry sectors. Talking to SaaS company owners (especially enterprise), I gradually became aware of these problems. As the SaaS market is expanding by approximately 30% every year, I thought a global project which will make sales & marketing easier for businesses is much needed. Our aim is also to popularize that form of software purchase. I encourage you to follow my LinkedIn profile and give SaasGenius a go - you can look for new tools, or review the software you know once you register for free. Thank you for mentioning Brand24 ;) glad you like our tool!